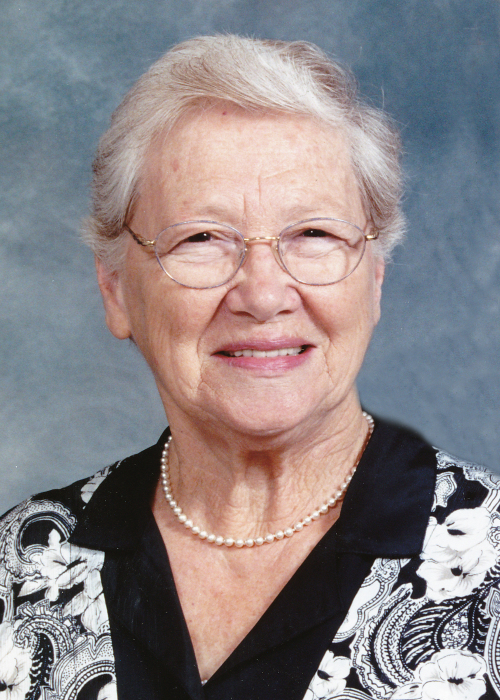 Peacefully on Tuesday, April 2, Dosia Thérèse (Rey) Cannon, age 88, passed away at Douglas Campbell Lodge. Predeceased by her husband Ron, she is lovingly remembered by her five children – Doug, Pat (Diane), Jack (Gloria), Terry, Susan – as well as her grandchildren, sisters Claudette Pagé and Lorraine Samolesky, and nieces and nephews. Mom was born in St. Boniface and lived there until 1949 when her father bought the Portage Creamery and the family moved to Portage la Prairie. Mom worked in the Creamery office, met Dad and became a stay-at-home mom when they started our family in 1956. Mom’s life centred around her kids and extended family. She made the best peanut butter cookies and enjoyed baking with her children. Mom spent many hours in the garden each summer with our dad and helped with the harvest each fall, preserving tomatoes and making pickles, relish and delicious grape jelly to share with everyone. Funeral Mass will be held at Good Shepherd Roman Catholic Church on Thursday, April 25, 2019 at 1:00 p.m. Flowers are gratefully declined due to fragrance allergies. If friends so wish, in lieu of flowers, donations can be made in Dosia’s memory to Prairie Welcome House, 114 Countess Ave., Portage la Prairie, MB, R1N 0T2. There's still time to send flowers to the Mass of Christian Burial at the Good Shepherd Roman Catholic Church at 1:00 PM on April 25, 2019.